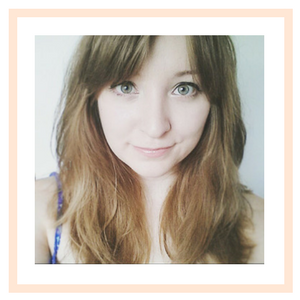 A signature cat flick is a daily look for me and, consequently, a liquid liner is a staple in my make up bag. 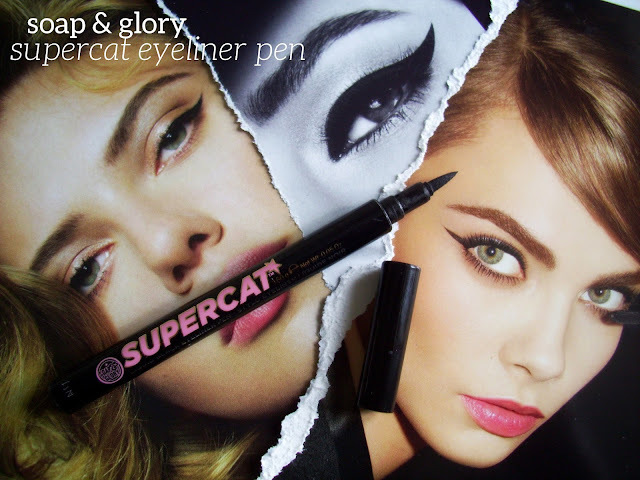 Over the past couple of months, I've been using Soap and Glory's Supercat eyeliner pen. I'd read positive reviews and was keen to see if it lived up the hype. As my first foray into the world of pen style liquid eyeliners, I was seriously impressed with just how darn easy a pen applicator is to use. I managed precision cat flicks first time round, which is a first for me when trying out a new liner. A quick swipe with this and I was good to go with no more faffing about uneven wings. It's definitely a winner on those mornings when I hit the snooze button more often than I should. The felt tip applicator is incredibly versatile, making this perfect for a subtle day time look and a more dramatic style for night time. My only issue with Supercat is the pigmentation. Some days it can look a little grey and patchy. This is easy to resolve, with another layer. However, I'm not keen on carrying it around with me all the time, just in case I need to top up. For the price, £6, I think it's really good value for money and I've had no problems with it drying out as I initially thought I would. Overall, I would recommend this for pen style liner newbies. It's certainly been a lifesaver product for busy mornings! ahh this sounds fab! I really don't think I'd be able to use it though because I got one of their mascaras as a freebie once and turned out to be REALLY allergic to it! So I think I'm put off trying any more of their eye products. Really want to invest in an eyeko eyeliner though! I almost purchased this yesterday! I think a pen is the easiest kind of liner to apply. That's strange it gets gray looking though. I currently use Maybelline Stiletto Liner and it lasts all throughout the day, and i don't need to reapply it at all. I swear by this eyeliner!! My favourite product ever, I've bought about ten!